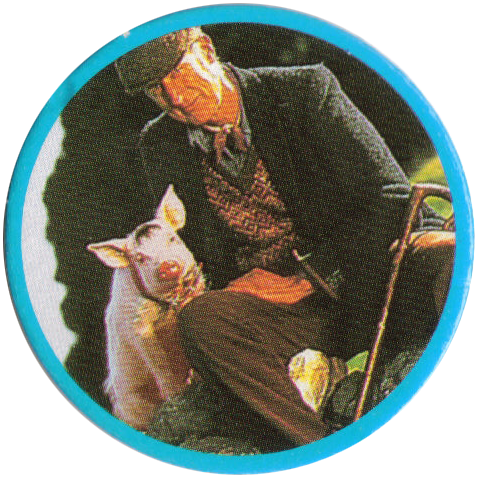 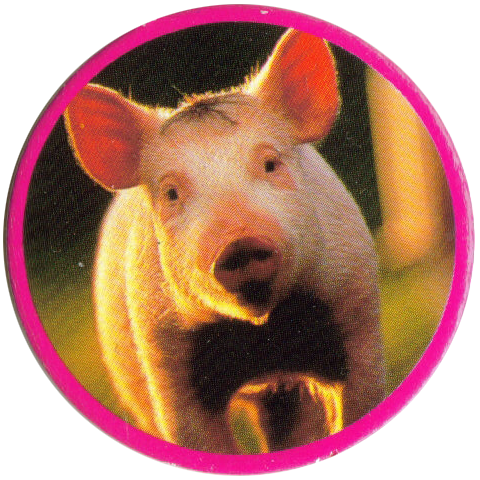 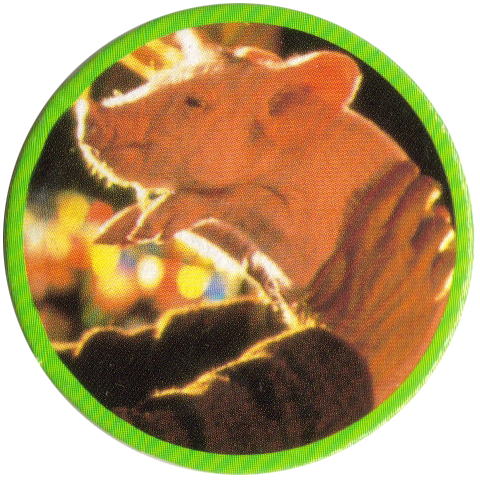 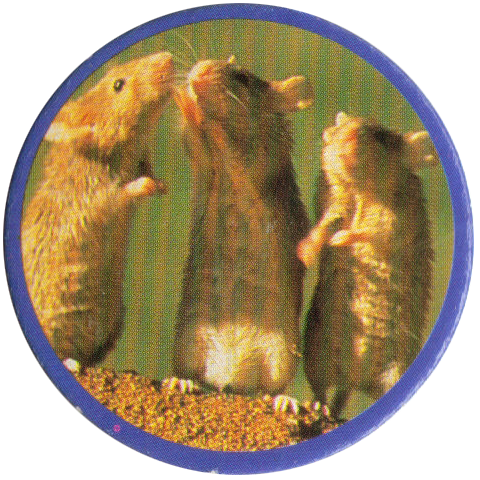 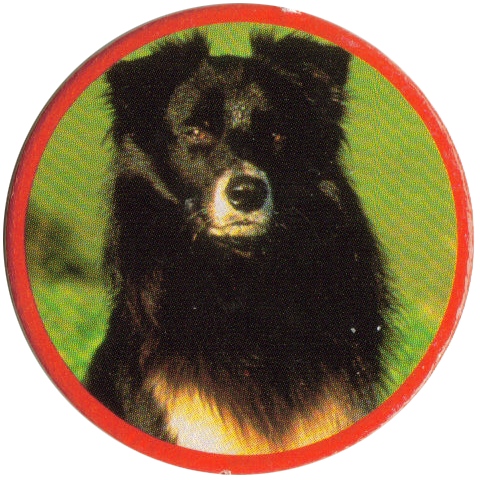 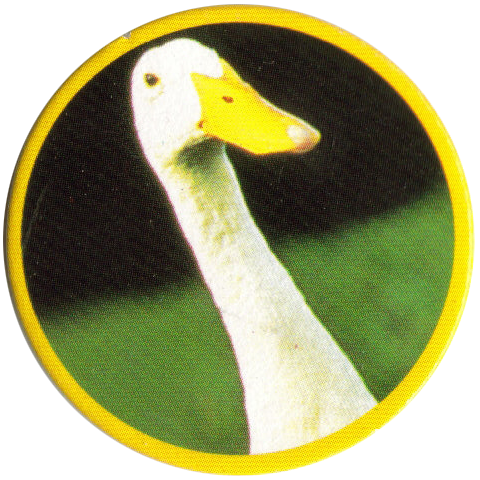 Info:These pogs feature images from the 1995 film Babe. 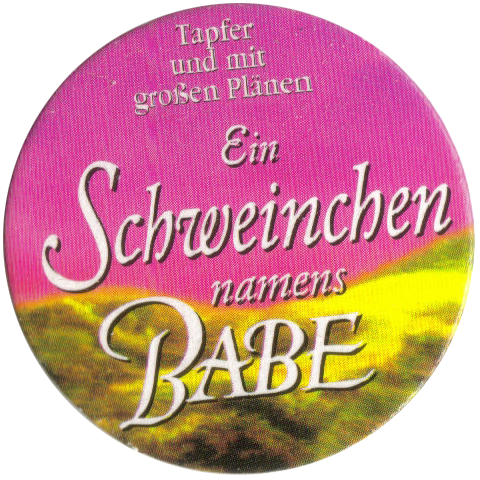 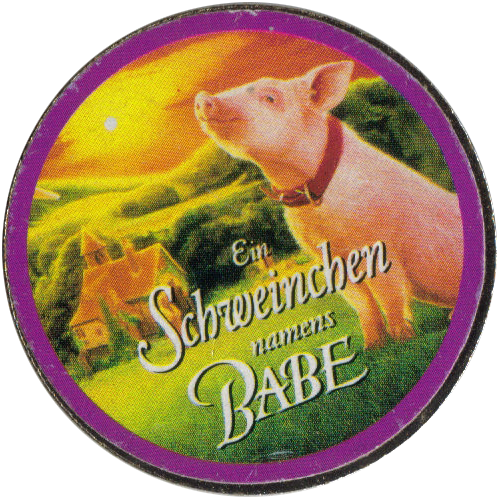 They were released in Germany, where the film is known as Ein Schweinchen namens Babe. 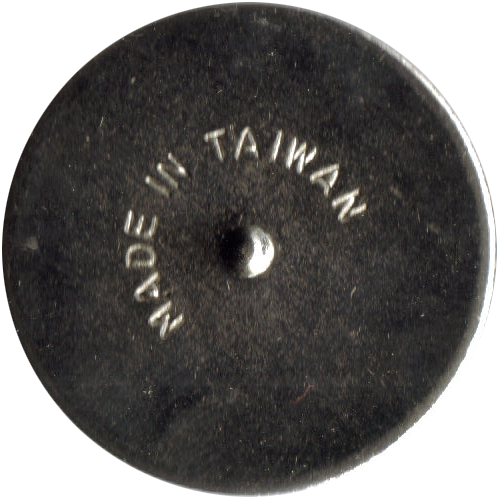 The caps all have a blank back. 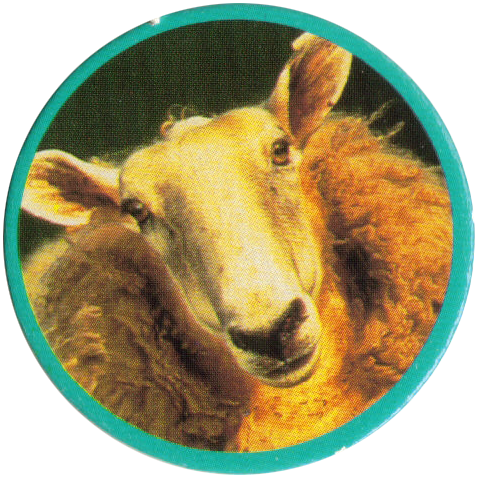 There is also a metal slammer. 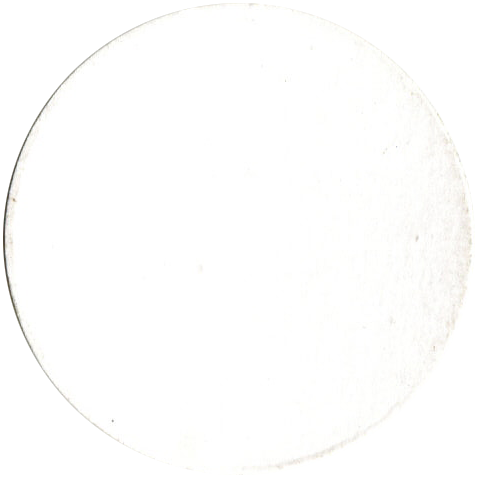 This has a small bump in the centre on the back, allowing the slammer to be spun when placed on a flat surface.